In this series of writings, I have been highlighting special pieces from within my own personal coin collection, and relating the stories and memories these particular items hold for me. This current chapter continues that tradition, with one notable deviation – the “young collector” referenced in my title is not me. In May of 2012, a gentleman came to see me at our shop regarding coinage that had been in the family for many years. Most were (literally) presented to me in an ancient sock, and the greatest numismatic treasure I’ve encountered from the United States came tumbling out among them. It was a 1796 draped bust Quarter, the very first Twenty-five Cent coin issued by the fledgling “United States”, and a major rarity. The owner told me the story of an ancestor who was a salesman (I believe in the shipping insurance field) in Europe during the 19th century. Often on the road, he returned to their office at one point only to find out that the company had gone bankrupt in his absence. With no residual assets except scattered receivables, he spent some time traveling through Europe, collecting these receivables from various customers so that he could survive the insolvency and move forward with his life. It was he, among his various journeys who collected the majority of these coins, including the fabled Quarter. Working with a good American colleague, I was able to authenticate and find the coin a new home, which yielded the family $27,000. As noteworthy as this discovery was, however, it was a second coin in the group that would bring forth from this gentleman a much later, though no less remarkable story. 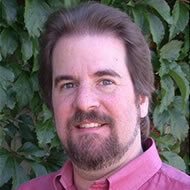 In the 1950s, he and his family had been living in Sri Lanka (or “Ceylon”, at that time). In 1958, his family of five left for Canada on a British Overseas Airways Corporation turbo-prop aircraft, known as a “Bristol Britannia”. The initial stage of their lengthy journey would take the craft from Colombo to Rome, via India, Bahrain and Damascus. As the seats were configured only in pairs, he – the 11 year old – was seated with an older gentleman for the duration. This gentleman, as it turned out, was a recently-retired pilot, and would keep his young seat-mate engaged with tales of adventure in the skies during the many legs of their voyage. No doubt the young David was impressed and engaged by their discussions, however it only would be in later years that he came to fully appreciate the serendipity of their encounter. Far from being simply a pilot, Captain Oscar Philip Jones, CVO, OBE, was among the most renowned aviators of his generation. A pioneering Civil Aviation Pilot, “O.P. 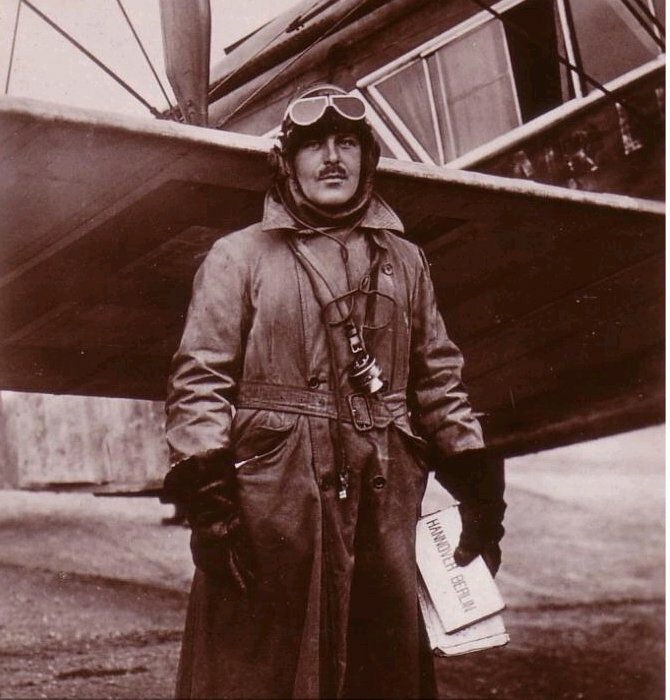 Jones” began his distinguished career at age 18, learning to fly with the RAF in the waning days of World War I. A founding pilot of both Imperial Airways as well as the BOAC line on which David was flying with him, he would eventually fly 139,000 passengers on 118 types of aircraft throughout the world. 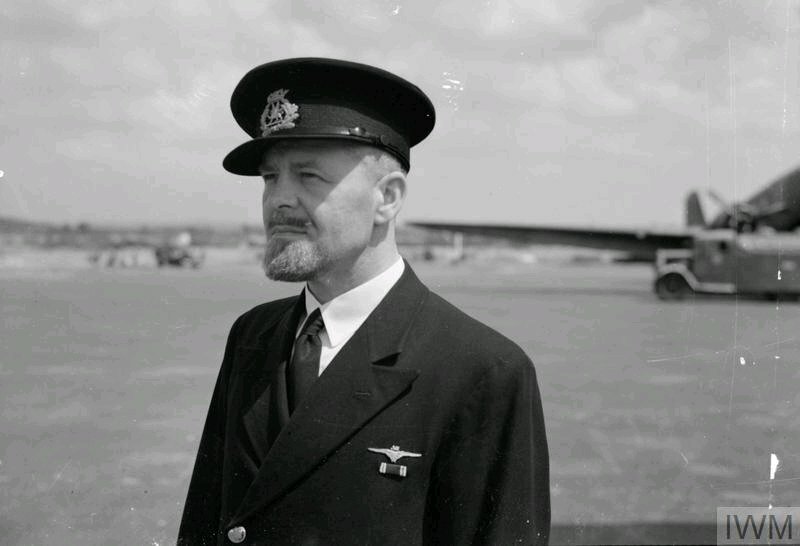 Well-known for his “piercing blue eyes and torpedo beard”, the Captain – at age 28 – became the first Royal Pilot by transporting the Prince of Wales (later Edward VIII) from Paris to London in 1926. Exactly 25 years later, his career would reach a pinnacle as he commanded the Boeing Stratocruise flagship “Canopus” as it carried Princess Elizabeth and the Duke of Edinburgh on their Royal Visit to Canada. Although Captain Jones clearly enjoyed his celebrity status as the “Great First Gentleman of the Air”, as he soon come to be known, his stripes were well-earned through his great skill and talent for surviving even the most harrowing of experiences. In one incredible account of a 1932 passenger flight, his Imperial Airlines HP42 (a British four-engine biplane airliner) was struck by lightning in severe weather over England, blowing out the cockpit window which then damaged two of four propellers. With torrential rain pouring into the cockpit, Jones and his co-pilot managed to recover the craft from a steep dive. The cockpit door had become jammed, however, and they had no way of knowing whether the passengers remained alive at that point, as both the tail fin and fuselage had been damaged and compromised. All radio and navigation equipment had been destroyed, and only on spotting a railway line through a break in the dense cloud-cover were they able to find their way to Croydon Airport and land safely. In the end, all survived to fly another day. That young David was kept suitably entertained by the exploits and adventures of his esteemed seat-mate is likely a given, though what of the numismatic connection I referenced in my introduction, you may ask? At one point during their voyage, the subject of collecting came up. David mentioned that he had collected both coins and stamps, only to have his collection stolen (presumably in Ceylon). “That was too bad”, Jones empathized. And then, sometime later, Captain Jones remembered he had a special coin on him – a good luck piece – that he extracted from a pocket and presented to David in hopes that it might kick-start his collection once again. That remarkable coin, which accompanied the rare quarter as it tumbled out of the sock on that day in my shop seven years ago, was a United States “Draped Bust” Silver Dollar of 1796. Only the third Silver Dollar struck by the U.S. Mint, it was a wonderful, naturally-circulated piece, and the first example of this very early coinage I had held in my hands in more than 20 years as a coin dealer. I acquired the piece from David with gratitude, and to this day, the “Captain O.P. Jones” Silver Dollar remains a proud and storied part of my personal collection of numismatic memories – a true king of pocket-pieces. 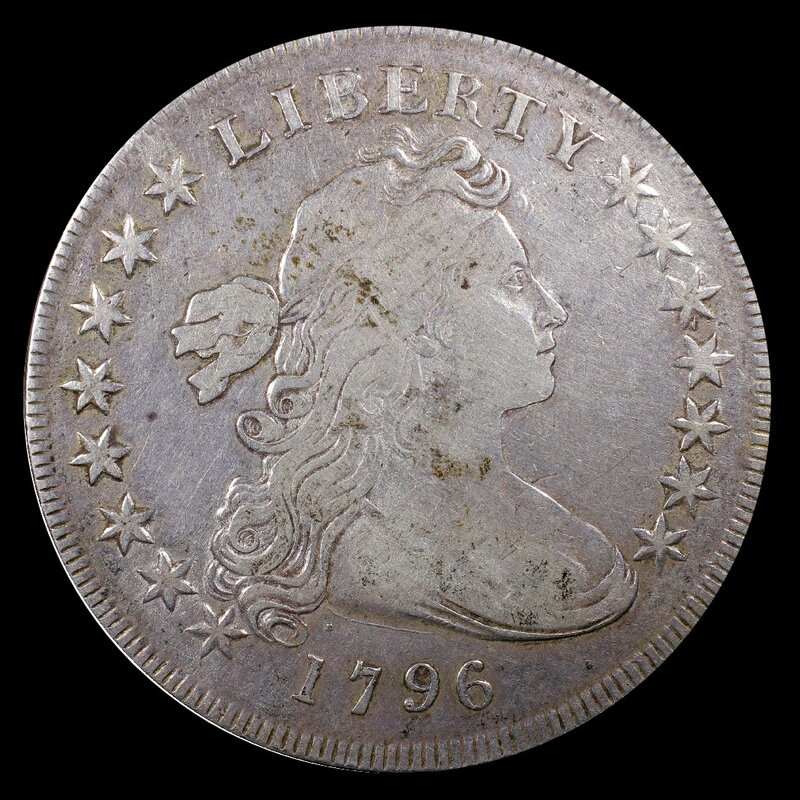 This entry was posted in Captain Oscar Philip Jones, Coin Collecting, From the Isaacs Cabinet and tagged 1796 draped bust Quarter, 1796 draped bust silver dollar, Captain Oscar Philip Jones, United States coins. Bookmark the permalink.